Every year, 1.3 million people across the world are killed as a result of an accident on the road. It is noted that while developing countries with less sophisticated road systems have a part to play in helping stem the road death rates, developed countries also have to ensure they contribute to the effort to decrease these worrying figures. The condition of roads across the country and around the world directly contributes to the safety of those using them and the amount of accidents that take place, and work is constantly underway to improve the quality and the safety of our roads. One aspect of this effort is the International Safer Roads Conference, which is taking place in Cheltenham from the 18th to the 21st of May. The aim of the conference is to study and explore how the combined experience, knowledge and practices of road safety engineers from across the world can be used to aid research and development of road safety policies. The main aim of this year’s conference is to ‘promote the efficient use of engineering knowledge to reduce highway accident rates’. There is a new focus on road surfaces that was previously absent from other conferences, reinforced to the UN Decade of Action for Road Safety, which was launched in 2011. New methods, materials and policies are constantly being developed to help aid the impact of skid resistance on roads. Skid resistance is the cumulative effect of rain, snow, ice, dirt and the surface itself on vehicles’ traction on the road. Here at UK Surfacings, we have over 30 years of experience as surface contractors for both domestic and commercial clients. 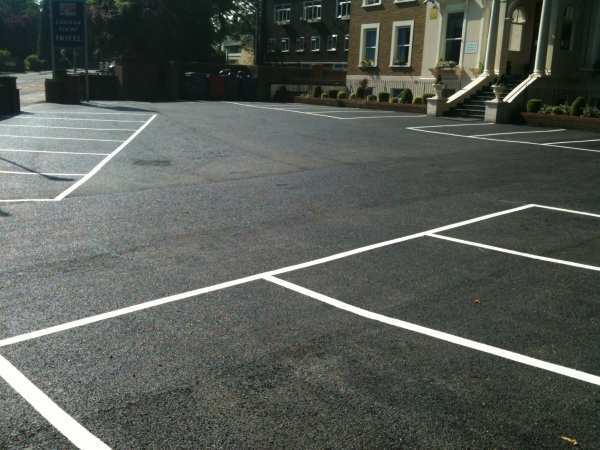 We are proud to serve London and the surrounding areas, specialising in asphalt surfacing and delivering unparalleled surfacing solutions for driveways, car parks and road repairs. Every surface we repair or refurbish is left as strong and reliable as possible, minimising the need for further work to be done. We have a team of fully qualified experts who are committed to providing only the best service, doing so by working in conjunction with local authorities and major contractors to ensure all work is done as efficiently as possible without sacrificing the quality of our workmanship. We aim to provide the best possible results at the best possible prices, ensuring that you get the surface you need without excessive cost. If you would like to know more about our surfacing solutions, or for more information on our other services, get in touch today! Give us a call, send us an email or use our website to request a call back and we’ll be happy to help.